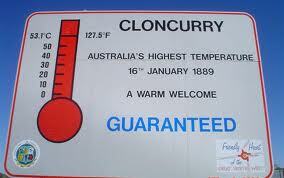 Known as the “Friendly Heart of the Great North West, Cloncurry is an area rich in minerals and history. Sitting on the crossroads of the Matilda Highway and the Overlander Way, its main indus­tries are copper and gold mining and cattle. Our visit here was only going to be a brief one, just one night, but we made sure we arrived early enough to do some exploring. 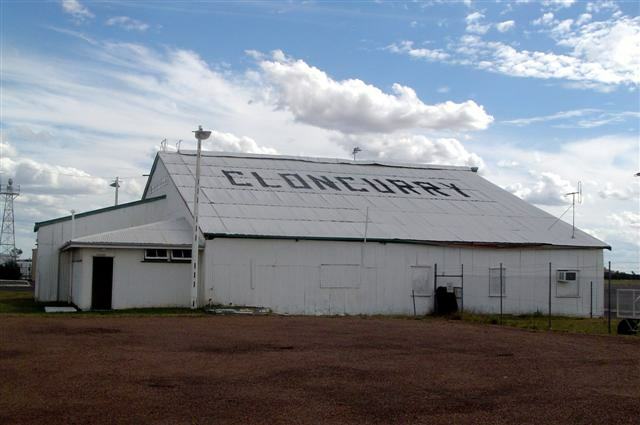 The birthplace of the Royal Flying Doctor Service and the destination of the first QANTAS flight, Cloncurry has played a major part in shaping Australia’s identity. Copper was dis­covered in the region in 1867 and the Great Australia Mine still exists today. Each year in July the Rockhana Festival showcases local minerals and gems and for 3 days the dazzling display is available to see, perhaps to touch, and even to purchase. 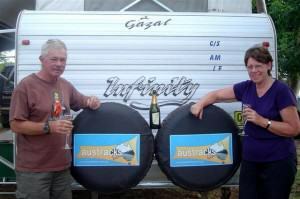 After checking in at the Gilbert Park Tourist Village ([star][star][star][star_half]) we set off to see what there was to see in this charming little outback town, starting with the historic QANTAS han­gar at the Cloncurry airport. Located at the hangar are some commemorative monuments depicting some important events in Australia’s aviation history and I was looking forward to seeing them but the place was closed when we got there. The airport is, apparently, usually really busy with flights in from places such as Brisbane, Townsville, and Cairns, and is the base for a local mustering company. But not this day it seemed. 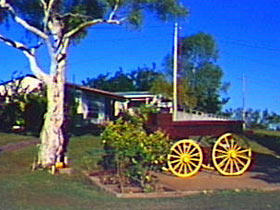 John Flynn Place is a museum dedicated to the Royal Flying Doctor Service and the man who started it, the bush clergyman Reverend John Flynn. The RFDS began on May 17, 1928 and is a crucial part of Outback life. The museum would, undoubtedly, be a fascinating look at life in the outback from the turn of the last century right up to today. There are many exhibitions including personal memorabilia and photographs of Flynn himself. The Fred McKay Art Gallery is also part of the museum and is named for the Rev. Fred McKay who, in the 1930’s in conjunction with the RFDS, began an aerial service delivering standard religious services (weddings, baptisms, and funerals) to out­lying areas. But today wasn’t our day and we missed the museum and gallery as well. Everything must close early here on a Friday! An outdoor museum can be found at Mary Kathleen Memorial Park. The memorial pays tribute to the town of Mary Kathleen, once a thriving mining community and now, an eerie ghost town. On display are many artefacts and relics from the town, including some original buildings. One of these buildings houses historical photographs and memo­rabilia from throughout the region and its prized possession is explorer Robert O’Hara Burke’s waterbottle. There are many things to see and do here but with only this day, and being late afternoon already, our options were definitely limited. 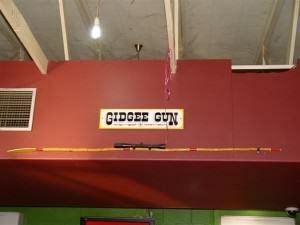 The local pub seemed to be the place everyone gravitated towards and it was here that we dis­covered the Gidgee Gun. An amazing piece of technology designed to help the local indigenous population in their hunting, this spear set with telescopic sights is a classic. 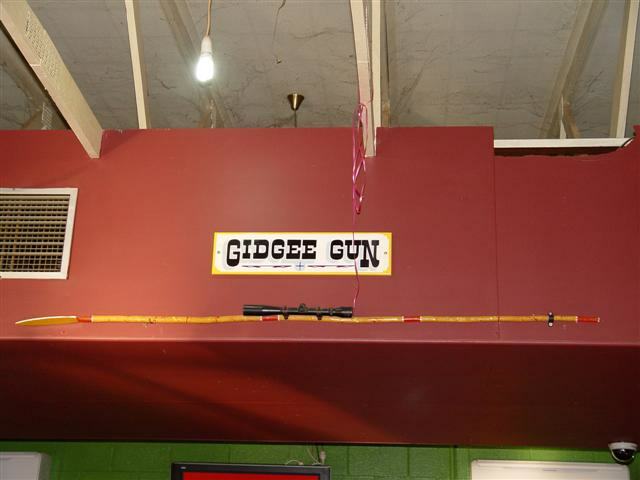 Proudly displayed above the bar at the pub, it truly is one of a kind! On our return to camp we opened our bottle of Two Tails Sparkling Wine for our first night bubbly and then took a stroll over to have a look at Sunset Rock but the sun was setting and I didn’t feel like negotiating the track back after dark so we didn’t go too far. 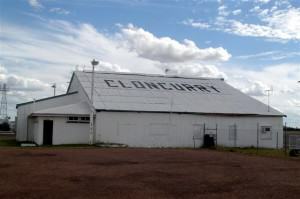 There’s a fascinating amount of history here that we didn’t get to see in our short visit, including the courthouse which is one of Cloncurry’s oldest buildings, and the post office, built in 1885.Known affectionately by the locals as “The Curry”, Cloncurry is a town I could come back to at some time and when we do we plan to stay a bit longer. Maybe we’ll see you there!